This isn’t one of those sweet, fuzzy, Christian articles about fasting. Instead, it’s more like an inoculation shot. Painful at first, but good for you in the end. So here goes . . .
You decided to fast. And you set your mind on using the Daniel Fast as your method of fasting. Then you got started. You learned about what you could and couldn’t eat. You started trying to change your schedule so you could pray more. And before you knew it you found yourself feeling discouraged, overwhelmed and ready to quit! What did you expect? Did you expect that fasting for 21 consecutive days would be easy? Like falling off a log? Like a walk in the park? Did you expect that you would just sail through and not meet any rough waters? So many Christians are shocked when they start the Daniel Fast and then face obstacles. Shock of shocks! Fasting requires that we change. We can’t eat the same foods. Horror of horrors. We only get to drink water! How will you ever survive? And what about time, you may be lamenting? How can I spend time with God and still do all the other things I already have planned for my life? I’m a busy person. I never have enough time, let alone 30 minutes a day to spend with God. This is where a lot of people break. The obstacles are too much and so they quit. Fasting is just too hard. Maybe you’re close to this breaking point. Maybe you already quit. Okay, before you start getting really angry with me, let me say this: I understand about being busy. And I’m not diminishing the challenges of changing the way you eat or restricting your beverages to water only. I too really miss my morning coffee when I fast. And I too am challenged. So I get that part. The point I want to raise and that I hope you will consider is this: were you expecting entering into a spiritual experience with your God that has all the potential to change your life and bring the transformation you’ve been longing for . . . did you expect it to be an easy path? We live in the culture of “quick and easy.” And if either of those don’t happen, we get frustrated. We complain. And then we quit! We shift into the role of the defeated instead of seeing things through, getting stronger and realizing success and victory. Christians, we are better than that! We are called to be better than that. We are the overcomers. We are the ones who have victory with Christ. We are the ones who fight the good fight of faith. And we are the ones who have the same God who parted the Red Sea, who tore down the walls surrounding Jericho, and who raised Jesus from the dead. He is living inside of us! We are equipped. We have tools. We have hope. We have the power of God. And these are all there so when we do face challenges and obstacles that we can reach the victory that our Lord wants us to have. Maybe you’ve heard me talk about my experience on el Camino de Santiago. It’s a 500-mile pilgrimage across northern Spain that I walked in 2011. Imagine it. Up the Pyrenees Mountains . . . and back down. Walking across open plains in 100 degree temperatures. Thirty-seven days of walking day after day. Up early in the morning walking 13-20 miles before reaching the hostel where I would sleep for the night to rest up for the next day of the same walking step-by-step so I could get to Santiago. I can tell you, there were more times than I can count when I was tempted to quit. Walking 500 miles isn’t an easy trek. Lots of pain. Sweat. And even some tears. Grueling. Challenging. And one of the most rewarding and most enjoyable experiences of my entire life! My heart gushed with thanksgiving and joy the day I walked into Santiago. I made it from the beginning of my journey all the way to the finish. And all along the way God gave me insights, blessings, surprises, lessons, and gifts that I never expected. Please don’t think I am lifting myself up as a poster child for success. It’s just that my Camino experience is so similar to the spiritual journey you are now on. What if I had given into the temptation? What if I had quit? What if I didn’t fight through the challenges? I would have missed out. The blessings and the lessons and all the walking that strengthened my muscles and quickened my resolve would have been out of my reach . . . because I quit. I praise God that I didn’t quit. And the lessons I learned along the way have served me in so many other areas of my life and my walk with Christ. The same is for you. You are on a spiritual journey. There are ups. And there are downs. And it isn’t easy. But I can promise you that the rewards and the lessons and the blessings are so great that they overshadow the discomfort you may feel and the work you must complete. That’s what fasting is about. It’s about learning and growing and receiving blessings from God that you wouldn’t have gotten otherwise. Plus, the lessons you learn on your fast will also serve you in other areas of your life. My hope is that you will shake off any of the discouragement or frustration you may feel. That you will realize that fasting and easy are mutually exclusive. And that you can do this. You are equipped. You have more inside of you than you realize. And your success is waiting for you to receive. Just keep walking one step at a time and you will get there. Thank you this just what I needed doing my first Daniel Fast starting July 5th. Thank you for the encouragement and inspiration. May God Bless You Beyond Measure. Thank you so much Susan, I’m not sure if I would have started the 21 day fast without your help and teachings. This is my second year and thou it’s not my first it’s still not easy but I’m learning so much about who IAM and the love of the father in heaven. It’s been amazing. Thank you so very much, Lulu. Your words have feed my soul with the sweet food of encouragement and affirmation. I am blessed beyond words that God has led me to this work. I praise Him every day for His goodness and love. He truly cares for us. I thank you for not sugar coating your message and telling it just like it is. I have gone on several 21 day Daniel Fast. Each one spiritually for filling. I find denial of self is at the top of the list.That’s my biggest fight. So thank you “What do I expect”. I am 21 years old and this is my very first time doing the 21-day Daniel Fast. Thank you for the videos every day on this journey. it is only my 2nd day but I am so looking forward to this journey with God. I’m going through a tough time in my life – not knowing what my future holds for me, finding a partner that God set out for me and loved ones who have gone astray. I am praying for all these things and more. I ask you, whoever is reading this, to keep me in your prayers during these few weeks. may God bless all of you on this journey as well and all of you are also in my thoughts and prayers. may God renew our minds and our hearts. I am honored to go on this Journey with the Lord. It is almost if your doing something for the first time.As in my years of growing I’m glad I listened to the Lord and decided to press on through. I know he has my back and that you Mrs.Gregory are such an inspiration.You have to gone through something in order to tell somebody else how his goodness and mercy. I have much to do as a Christian and better get busy with it.I use to say this cliche all the time when I started to notice was I part of the solution are the problem. Then thing had to get turned around and to know that I needed to be about the Lords business.Thank You Mrs.Gregory for your support and I will share with others of the journey. Your lessons on the Daniel fast have been so amazing and I have loved each one of them. 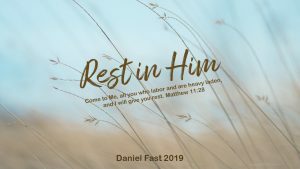 I have been on the Daniel fast many times and most of the time it has just been a change of diet and an attempt to find time to pray, but this time it has really taught me something – how to get close to God – and that is what I have been seeking for so long. Most of the time in past years, I have got distracted with preparing food etc – and since I work full time – found that I did not have any energy left to pray. I really love these lessons and want to be able to listen to them again and again so that it sinks deep in. Would these lessons be available ? to listen to and keep learning?? I have saved your emails with the lessons separately – but not sure if they will be available on line just as the CLN lessons were. Thank you so much Susan for all the time you have taken to prepare these lessons. You have been a blessing to us. Yes, the lessons will be available for a while to review. I am not yet sure how long . . . but at least another 30 days. I am so glad you are finding them helpful to your faith development. God is so good! Be blessed and thanks for your encouraging words. Susan, does the Daniel fast has to always be in a 21 day span? Is it possible to fast for 7days? I have never tried a Daniel fast. My church has always suggested an absolute fast (no food no water for 3 days and if longer than days water is permitted)for our congregation. 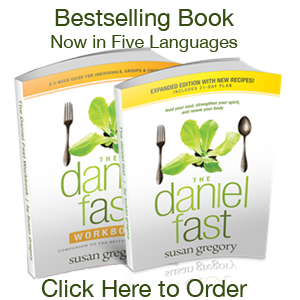 I tried the Daniel fast and WOW! it seems much harder than an absolute fast. You can do the Daniel Fast for fewer days. Best to use this method for at least 7 consecutive days. this fasting is definitely not easy. Today i was tempted to put a piece of salt meat in my soup, but my conscience got the better of me and I resisted. A little warning voice in me said ‘if you can be faithful in little things, how will you be able to handle bigger things i wish to give you.’ That caught mu attention and i am happy that I didn’t give in to the temptation. The Lord continues to give me the strength to be faithful to my fast. Thanks for all the encouragement here. Thanks so very much for all of theses words of encouragement! To everyone remember that GOD IS IN CONTROL!!!!!! Thank you Susan, for this encouraging article. It gave me a sense of awakening and lessons from God that I’ve dined since Janurary 28, 2015. It helped me to break down barriers with my family. Wonderful that barriers have been broken down with your family. You have sowed these seeds in fertile soil and now it’s growing and will bear fruit. Could you please share how this happened? I was born again in 2012 I influence many people along the pathway to knowing Jesus but with my own family, I am a dead loss. Thank you for sharing this, I have had some slip ups but with each one I get stronger. I am so glad that God knows what is in my heart and knows that I really want to do well on this fast. I have already experienced great blessings in my home life and at church. God does honor us when we fast. Buen Camino! Such an amazing experience, right? I have a different issue–I don’t feel like I’m fasting at all! I’m following the fast in detail, however, all of the food is so delish that I’m totally satisfied and I want to “feel” like I’m sacrificing something. The foods on this list are the foods i eat and love anyway (with the exception of eliminating the chicken, fish, turkey which I do miss, Thank God). I’m not a coffee drinker and don’t ever drink soft drinks, juice, etc., my typical diet is 90% organic so I eat clean as a rule. Now what? PS: I’m fasting from social media as well which bothered me for the first 3 days, but now I’m over that. I don’t watch much tv except TCM and perhaps a little news. Thank you Susan. This encourages me a lot. I’m on my third day and even though I don’t intend to stop, sometimes I wonder what to do next…pray, meditate, read the word? but i’m grateful to God that He placed in me the desire to do this fast. I want to be so much closer to Him. Thank you and God bless. I hope you’re in our group Brenda. The study I am presenting on faith has been a huge inspiration for people. Click on the link to the right and we’ll get you started. Thank you Susan for your kind words of encouragement. This is my first 21 day fast and it is a challenge, but I am determine to complete this journey that I started out with Lord. Your devotional has been a great help for me on this fast especially “change the way you think”, this has open mind to see the way God wants me to think through the word of God. Keep on being an inspiration to others, and may God bless you as you bless others. Thank you so much for everything…especially today’s blog… it was an answered prayer. I was ready to quit this morning. God is good!! Can’t seem to find the answer but is Cream of Wheat or Malt O’Neal permitted? I just wanted to say Thank you Susan for your encouragement and for constantly uplifting folks like me. I’m on day 2, and though I “grew up” in the church this is the first time I am seeking God and a better relationship with him for myself. I haven’t struggled with the food I guess I’m too excited, the devil has attempted to steer me off track through people but Thank God for forgiveness and prayer. I’m so excited to see my faith in Christ grow and look forward to sharing his Good News. Thank you and I’m praying that everyone stays encouraged! Praise God! I am so glad, Jennnifer. Thanks for being here. I hope you’re in our class! Your Journey in Faith The response has been awesome! Be blessed and thanks for your kind words. I just wanted to say thank you for the all the encouragement your giving durning this fast. question if I could even do this but that was just the carnal part of me speaking. But in my spirit I can hear dont turn back and I dont want to. I’m glad you shared this post. I know that I can do all things do christ who gives me strength and I’m not going to give up because I really need the Lord. God is good and on time. What a joy to see how He is ministering to you. Yay God! This will be my very first Daniel’s Fast and i almost collapsed yesterday However i am more than determined to complete it, I pray for Grace to . Please, make sure you are following the Fast as I teach about it. There is a lot of erroneous information “out there” and when people follow the errors, they are subject to serious issues. You should never collapse due to fasting, and certainly not on the Daniel Fast when your following the guidelines properly. Check out the book – it has all you need for a successful fasting experience. Where on this website does it explicitly explain the rules of the fast?? I have been looking for like an hour, and all i’m fining is little snippets here and there. Where is the full and complete list of what not to eat? Please help. I was doing a mini-Daniel Fast from January 1st through tomorrow, January 10th. I was abiding all the rules on what to eat and what not to eat and staying in prayer. Then, today, I made a huge mistake. I ate a small piece of whole wheat bread, not thinking about the yeast. I was thinking “whole wheat” and that it was okay, until I realized what I did. I feel so sad because I was so close to do the whole 10 days with no diverting. What should I do to get rid of this guilt. 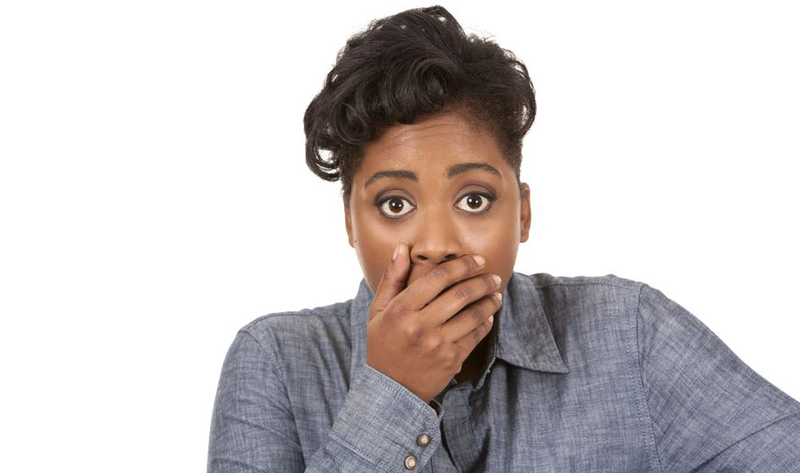 Check out this post: What to do if you quit or make a mistake on the Daniel Fast. This is so encouraging. I have no plans to quit ,but things are coming at me left and right. I thank God for the Word and praying is the key for me. I’m on my 7th day of the fast and it’s my 2th time doing the Daniels fast and God really answered me in miraculous ways last year. The problem I’ve encountered lately is that I don’t pray as much as I’d like to. I wake up at 3a.m and pray for an hour or two, but then I don’t get time to pray during the day. Other days I can’t even wake up to pray and it’s really bothering me, I’m constantly tired don’t even know why. Please help. You may be suffering from caffeine withdrawal. You will soon have great energy as your body is free of sweeteners and caffeine. Rest in the Lord and come to Him in peace and joy, rather than any guilt or condemnation. There is no reason for guilt as it was done unintentionally. You’re a success not a failure. The enemy condemns not God. Be thankful you were able to get as far as you did. In the end the focus should not be on the food but rather on your relationship with the Lord. Blessings. Thank you Susan that is a good testimony of perseverance. The great news is that when you know better you can do better! Thank you Susan. My husband and I are doing this fast with our entire church. This is our first fast and we are now almost through day 3. My question is that i find some people are very hush hush about doing the fast and others want to tell everyone. I guess its just depends on the individual. My personal feeling is to not keep it secret. I was at a meeting last night where everyone orders a meal and when it was my turn to order I told the waiter I was doing the Daniel Fast with my church and my diet had specific things that I could eat and they were not available to me here, however I did ask for water and I did give him a nice tip.. I feel to be closer to God and to do the fast according to how it is outlined, shouldn’t we be honest as to why we are doing the fast? I don’t know why people would want to hide it. Are we not supposed to be excited to be Christians and not worry about what others think of us? These are just questions that are in my head. Thank you so much and I love to hear other’s stories. The issue is all about the motivation behind sharing. Jesus rebuked those who “showed off” while fasting. They were fasting to make themselves look good and holy and were doing it for prideful reasons. Sharing about you fast in humility and not pride is okay. Bringing understanding or insights to others about the fast is a good thing. Like all we do, we want to check our motives. Why are we doing this or that? If the motive is not in line with the ways of God, then we want to make adjustments. Thank you so much Susan! I have not yet started my fast but I knew nothing about it! All I knew was that God wanted me to do it and that was good enough for me. I had so many fears, I didn’t know what I was allowed to consume, I didn’t know if there were rules, I knew NOTHING!!! But I started researching and found your website and all the tools I needed. Upon reading I started to become fearful, what if I buy a can of beans and they have a random chemical in them? Just a bunch of silly what ifs. But reading this article gave me the encouragement I needed, I am so prepared and ready to tackle this and to get even closer to God I am just psyched and pumped up! Through faith in God anything is possible. God’s Peace!!! Be blessed and thank you so much for writing! God is so good. I was prepared for the hunger, and caffeine withdraw headaches and the temptations in my own house. Not prepared for this! LOL I had to share my funny story with you all. Thanks for your message, Amanda! So funny! Clearly, the enemy (whose only purpose is to steal, kill and destroy any goodness in your life) is trying to trip you up! But your resolve and commitment to the experience will see you through. Hello everyone. This is my first time participating in the Daniel fast. Our church has corporately started on the 7th of February 2015. I must say I am so excited!!!!!!!!! God has been moving sooo much in my life these past couple of days! In September of 2009 I graduated from LPN school (Thank you Jesus)! I took the N-clex in 2010 and 2012 but I didn’t pass. Of course I was truly upset but could it have been that my heart (mind, motives) was in the wrong place? God knows and searches our hearts (mind, motives). Last December 13, 2014 I was able to re-test and it takes approximately 6weeks for the results. On the 8th of February, after service , I found out that I had passed!!! HALLELUJAH TO the LAMB!!! God has a plan and a purpose that is tailored to each of us specifically. God’s timing is perfect. To everyone be steadfast and unmoveable always abounding in the work of God. Be prepared for this fast to transform you spiritually, mentally, physically, emotionally, financially………stay encouraged and do not grow weary in well doing. BE BLESSED!!! This will be my very first Daniel fast. I am very exited! Thankyou so much for the encouragement Im in the third day but sometimes I feel weak.The nature of my work demands me a lot of time and I feel like Im not commited enough to the fasting. Thankyou so much looking forward to gain more spiritual strength from God. This is my second year participating and I’m on Day 9 of the Daniel Fast. The first couple of days were great! But then the detox symptoms came along with suppressed emotions that are normally dealt with food or social media. This is a corporate fast and everyone in our church is feeling invincible and I’m stuck in a rut. I read the bible, books, & pray but, I feel just as bad as I was when I was eating food. I feel so misunderstood & lost. I am grateful for finding this website because it’s much needed. I’m really at my breaking point. Breath, me dear. And take it easy. Keep the fast as simple as possible. Don’t try to scale the rock wall when you only are prepared to walk the path. I encourage you to make a few simple meals so you have the food on hand. Keep your Bible reading and prayer simple. Read through the Gospel of John and do it calmly with an open heart to hear what the Lord is saying to you. Your Father is calling you to Him – not to perform or be perfect (that’s what Jesus already did for us). Instead, think of a young child being called by her loving father who just wants to be with her. That’s what God is calling you to today. You will do well. This is a time for grown and learning. Start where you’re at . . . and then move forward. Generally, you fast for a full 21 days. So if you started the fast at sundown on Saturday the 3rd, then you would conclude at sundown tomorrow. #1. Can I make mashed potatoes with canola oil and put salt and pepper on it? #2. I know that the only thing you can drink is water but can I put fresh berries, or lemon, or cucumbers in my water? #3. Can I squeeze fresh oranges or any other fruits and drink that juice – it’s fruit but in liquid form? First, I strongly encourage you to learn about the Daniel Fast using the Daniel Fast book. I you don’t want to invest in the book (which includes that background of the Daniel Fast, principles for having a successful experience, a complete Daniel Fast cookbook, and a daily devotional) then you can learn a lot at our other site at http://danielfast.wordpress.com. 1) Yes, you can have potatoes with oil, salt and pepper (olive oil would be a better choice over canola). 2) Yes, you can add lemon or cucumber slices to your water. 3) No, what you described in #3 seems to be getting close to juice. Be blessed on your fast and be sure to invest in yourself by preparing for it by gaining the knowledge that will help you with confidence as you enter into this powerful spiritual experience with your Lord. Sorry for my stupidity, I don’t have the book yet, but why is juice not ok if it’s just squashed fruit.,I am trying to decide if I am going to do this or not. I am still trying to figure out the why- why are people doing it? What exactly are people trying to accomplish? Isn’t this kind of like works instead of salvation by grace? Years Ago our church corporately prayed and fasted for a pregnant mother of ten who had cancer. She died anyway. So what exactly was accomplished? But I limp along trying and hoping God will bring my daughters back to Him, my Husband will get saved and some good will happen my family members. If I knew that God would actually hear my pleas and answer them, because there is nothing wrong with what I am asking for, then I’d have more motivation. But as it stands, I don’t get it. Big questions for a small blog response! But I will give a brief and appropriate answer. I hope it helps. Our spiritual life is filled with mysteries. That’s a word used in the scriptures to describe things that happen and elements of our faith that don’t make sense to the world or even our worldly thinking. When you fast, you enter into a spiritual mystery of the faith. The boundaries of the fast are part of what separate us for this period of time. The food limitations create the walls, in a way, to the place where we inhabit for a retreat time with our Lord. We come into a place of meeting with Him. We submit our flesh and instead focus ourselves on God and His ways. We put our trust in God and don’t require understanding. We just trust. It is in this place of submission and trust we can better hear the Lord. It’s a time to learn about Him and learn about ourselves. Being with the Lord is so far beyond words or explanation, that I can’t really describe it here. However, I know there is no better place I want to be. Extended prayer and fasting allows me to be with Him in a different, highly focused way. That’s why I fast . . . and why others fast. It’s the mystery that isn’t understood by the world and only understood when it’s experienced. Just completed this 21 day fast. I can honestly say this has been life changing. It not only has made a difference in the way I feel because of the healthy food intake but also how God shows up in new and different ways. For those still on the journey I encourage you to stay on it and finish strong! It is worth it. Just remember all that God has done for us. This is such a small sacrifice for us for these few short weeks. Blessing to you all. I was just wondering about the sald dressings – what kind of dressing can I use on my salad? Is ranch allowed? No Ranch Dressing is not allowed because it includes dairy and other ingredients not allowed on the Daniel Fast. The only bottled dressing I use during the Daniel Fast is Newman’s Own Oil and Vinegar Dressing or I make my own. This is my first time fasting for more than 2 days….I feel closer to God. I slipped up and ate a food that is not on the list…I’ve decided to fast am additional day is that normal or have I completely failed? No, continue the fast and it’s a good plan to add one more day as it seems God is leading you in that direction. The main thing you want to do is learn about why you chose to deviate from the fast so you can learn and grow in the experience. I tried the fast last year and i failed, i so want to start again and i trust God this time i will never fail. My biggest challenge is seeing people eat at work and im not sure about the recipes to make for the fast. Susan please pray with me so I can be able to concur this time. The best thing you can do is equip yourself spiritually and with knowledge about the fast. Be prepared. Have Daniel Fast foods available to you and make a decision right now that food will not have power of you! Be blessed. You have everything inside of you to be successful as you rely on God and stay close to Him. Hi I am a new Christain and heard about the fast about 2 years ago and felt a calling to do the fast this year. I am on day 3 of the fast and I feel like quitting. I am finding it very difficult. I was going to quit today but then came across this website and it just showed me how God works and that I need to push on. Also that I need to have a place to speak to like minded people to share my experiences and get advice. Thank God for this page that we can share our fasting issues and see God Glorified thru what he will do in and through us. My struggle is not the food changes… mine is smoking… I have tried unsuccessfully several times.. even now as I am preparing to walk into the fast, I struggle with them. Pray with and for me that I can this time walk away with anew freedom that Jesus has already released to me in Jesus Name!!! Lisa, you are not alone in the struggle, many of us face this nicotine addiction. Keep Trying and Trusting in the Power inside of you! You with Gods help can do it! I have such guilt, I was doing excellent and broke my fast on day 6. I was not going to start again because, felt I failed myself and God. The next day, I returned to my fast, no food can keep me away for the things God needs to tell me or lose out on the wisdom. Those 1st 5 days provided much insight and I was determined to get what is mine! I love the lord and want so badly to hear from him in ways that will help me to be a better person . I am starting my 1st time fast tomorrow and getting back into going to church faithfully. I love the Lord and have just gotten too far away from him. I am extremely nervous though about letting him and myself down so keep me in your prayers and I’ll keep all of you in mine. I am truly excited about reaching a spiritual level I have never known before. Thank you for the encouragement. I’m on day 14 and it’s the first time I do fasting. I must say it was starting to weigh down on me and I thank God for using you to uplift us. Can’t wait to see the results of this spiritual journey. This is day 14 for me also and it has been a challenge. I have heard those tempting voices tell me to break my fast. People talk about food around me, and I may be near snacks and treats, which are my favorite, and I want to eat them so badly, but I remember, it is more rewarding to finish. Susan, I read your emails each morning and I do believe that is what is helping to stay strong. When I complete this fast, this will be my first 21 day fast that I have not broken. This tells me I am growing spiritually. Thanks again and please keep those emails coming. I look forward to reading them. Be blessed! This is my first fast. On day 10……it has been challenging. My prayer life has not improved and I have broken my fast a couple of times, but I know God is working on me. Thank you so much for this post! This is the first time that a fast has meant so much. It helps to understand the process and reasoning of the fast. One more week to go and I’m so excited about the work that God is doing!! To God Be The Glory for great things He is about to do !!! I have been asking God for FAVOR!!!! On yesterday He did just that . To God Be The Glory for great things He is about to do !!! I am grateful for this reading, thank you Susan for allowing God to use you. Today I had a meeting and the aroma from the food was unbelievable, but I did not touch one morsel. God is giving me such control. I am trying not to make sure I spend more time in His word so He can direct my path. His strength and His mercy will sustain us, don’t give up!!! Thank you Susan for the encouragement that you send. This sure ain’t easy. It’s my 1st time doing it and I’m on day 4. I can already see God’s hand moving, revealing things about myself that I didn’t even know. I’m blessed beyond measure.!!!! God is throughly amazing He gives strength to the weak and He comfort the troubled heart . Thank you Susan for all the encouraging words. The food is not as much a challenge as the “mind” battles and spiritual battles. Not only do I ant to eliminate foods, but any toxic relationships. I am noticing that television is not as appealing as it once was, and that is a good thing. It is so much garbage on there now. I do not want to fill my spirit with such things and my main focus is to live a life that is pleasing to God. I keep my cell phone off most of the time and only turn it on to check my messages because I do not want to get distracted. That is where my challenge lies. I am encouraged to go all the way and I am in no way tired. Thanks again. This experience for me has been challenging, but one I know God is leading. It’s day 10 and my food choices are limited. I have no desire to quit. Thank you…keep the words of encouragement coming. This is my first time, I am on day 10 I had just begun a new workout routine w/Herbalife so I got confused about what I could eat & what I couldn’t so I am just making sure U eat lots of vegetables, beans, almonds, peanut butter and water also salads, still working out, but this has really been challenging trying to find the time for reading my word & prayer. The whole point on this fasting is to spent more time with your maker and get to hear Him talk and take you to a different level of knowledge of Him and His way .Especially it’s a great thing to do end time with God early in the morning when all is silent . Thank you so much for this timely read. To God be the glory! I am on day 10 and am amazed at how my morning bible readings and journaling are aligning with the emails of encouragement and Susan’s articles. God is sovereign. He knows our needs. He hears our prayers. He is there along the way. Genesis 35:3 “…to the God who answers me in the day off my distress and had been with me wherever I have gone. ” Amen! Thanking God every second for his strength. And thank you for this article, needed to hear this. God bless everyone abundantly. I appreciate the encouragement!!! I am on th 13th day, and this is my second time to do the fast. The first time, I only did it because everyone else was. This time, because I had such a strong compelling urge to do it. What’s funny is this time has been so much easier!!! It makes a difference when you are doing it for the right reasons!!! Thank you so much for this timely message. You will never know the lives you have helped to press in closer to our Lord. It’s really wonderful when you think of all of his children searching and reaching out for MORE of Him at the same time. Blessings to you and the work He has called you to. Wasn’t going to quit… but boy i needed that today. : ) Thank you sooo much. Thank so much for the encouragement. This was greatly needed. Our God is always on time. The right post at just the right time. Thank you. Thank you! I needed this today! I’m on day 10 of the Daniel Fast, and it got SERIOUSLY challenging about 4 days ago. I’ve had no thoughts of giving up, but I’ve definitely given in to grumbling. God has used you today to convict, sharpen, strengthen, and encourage me. Thank you for being His tool. .. when she came up from under my bed. I didn’t expect such spiritual warfare on my fast 🙁 please pray for me. Read mark 6 verse 7 And luke 10 verse 18 to 19.Jesus gave us power over all principalities of darkness .Everything is under the feet of Jesus .keep holding on to that faith and trust in God He will never leave you nor forsake you .joshua 1 verse 1 to 10.You are covered by the blood of Jesus .love Ann Am on my 15th day . Definitely needed to hear this today! You can read this site and also go to our other site at http://danielfast.wordpress.com where you will find the information you need. It’s my first time, and I am on day 6… your words of encouragement are much needed. 🙂 God is soooo awesome!!!!! Day 14 of my third time doing this fast and can’t wait to see what God is going to do. He has done great things in the past and He is doing great things now. I may not see them yet in the natural, but I know He is in control. The eating part does have it’s challenges but since I continued throughout the year with some of the foods on the daniel fast, going into it this time wasn’t as hard. I gave up sodas 2 years ago and kept my breakfast for the most part a Daniel fast approved one. I was at a work staff meeting the other day and they provided dinner. I brought my own vege soup. They saw this and wondered why I wasn’t getting their goodies and I told them I have cut out sugar and meat. One woman said I had more will power than her. It’s not will power, it’s God power. I can’t eat alot of things anyway since my teeth are loose and I was told I need them all pulled. God has a plan and hanging onto Him keeps me going. This is my second year following the fast, but I believe this is the first year that I can actually say,I am doing what I should and believe that God is really working. Thank You Karen this was really encouraging as I have not started the fast yet. I really truly need to commit and make sure this is not just a glorified diet for me.